Juxtapost, Inc. ("Juxtapost") has adopted the following general policy toward copyright and intellectual property infringement in accordance with general U.S. intellectual property laws and the Digital Millennium Copyright Act (http://lcweb.loc.gov/copyright/legislation/dmca.pdf). Juxtapost will respond to notices of this form from jurisdictions other than the U.S. as well. The address of Juxtapost's Designated Agent to Receive Notification of Claimed Infringement ("Designated Agent") is listed at the end of this policy. Juxtapost may act expeditiously to respond to a proper notice by (1) removing or disabling access to material claimed to be subject of infringing activity; and (2) removing and discontinuing service to repeat offenders. If Juxtapost removes or disables access in response to such a notice, Juxtapost will make a good-faith attempt to contact the allegedly infringing party ("Member") so that they may make a counter notification. If you materially misrepresent that a product or activity is infringing your intellectual property, you may be liable for damages (including costs and attorneys' fees). Therefore, if you are not sure whether the material infringes upon your intellectual property, please contact an attorney before contacting Juxtapost. When removing material from the site, Juxtapost will make reasonable attempts to inform the Member of the removal, the reason for the removal, and may provide the Member with a copy of the notice and the notifying party’s contact information. Once Proper Bona Fide Infringement Notification is received by the Designated Agent, Juxtapost may remove or disable access to the material infringing upon the intellectual property. 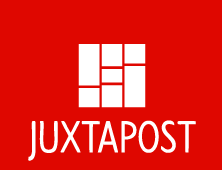 If Juxtapost removes or disables access to content in response to an infringement notice, Juxtapost will make reasonable attempts to notify the Member that Juxtapost has removed or disabled access to the material. Repeat offenders will have all material removed from the system and Juxtapost will terminate such Members’ access to the service. If you materially misrepresent that a product or activity is not infringing upon the intellectual property, you may be liable for damages (including costs and attorneys’ fees). Therefore, if you are not sure whether or not the material infringes on the intellectual property, please contact an attorney before contacting Juxtapost. Your name, address, telephone number, and, if available, e-mail address and a statement that you consent to the jurisdiction of the Federal Court for the judicial district in which the Member’s address is located, or if your address is located outside the United States, for any judicial district in which Juxtapost is located, and that you will accept service of process from the person who provided notification under subsection (c)(1)(C) or an agent of such person. If a counter-notice is received by the Designated Agent, Juxtapost may send a copy of the counter-notice to the original complaining party informing that person that Juxtapost may replace the removed material or cease disabling it in 10 business days. Unless the copyright or intellectual property owner files an action seeking a court order against the Member, the removed material may be replaced or access to it restored in 10 to 14 business days after receipt of the counter-notice, at Juxtapost’s discretion.